Chocolate. Somehow, it can make even the most boring day amazingly bright. 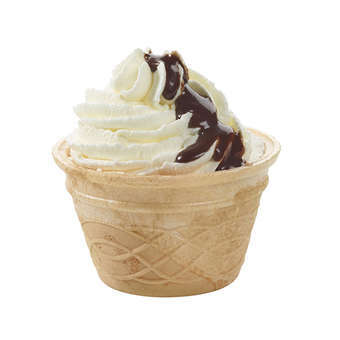 For example, why not try this chocolate mini soft-serve smothered in chocolate sauce? Ahhh. For just a few extra coins you can spruce up your dessert creation with some brownie crumbs or other tasty toppings.